The hamburger franchise is nothing short of amazing. 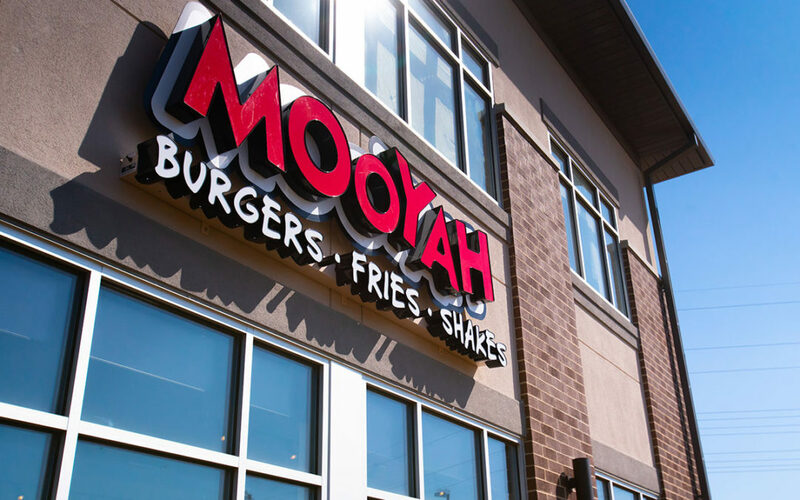 Billions of burgers are sold every year, and at MOOYAH, we pride ourselves on making the best quality burger in a seriously fun environment. The hamburger franchise continues to see impressive growth. We are looking for motivated and driven individuals who want to pick up and carry the MOOYAH torch and join our family of entrepreneurs. If you are ready to take control of your future and become your own boss, give MOOYAH a call. The burger is a staple in the American diet. For decades, it has sat as top dog as the most in-demand meal that we love to keep coming back for. 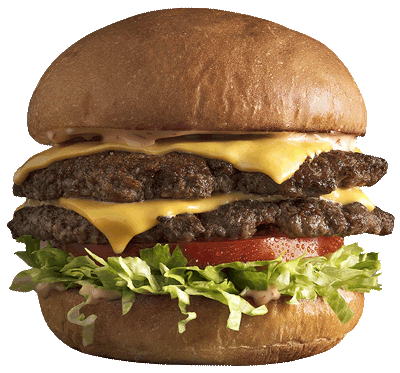 Today, Americans eat approximately 50 BILLION hamburgers a year. In fact, 71% of all beef eaten in a restaurant is placed between a hamburger bun. This doesn’t mean that you are able to take any sort of beef, cook it, and throw it between a bun, though. Quite the contrary as now, 3 out of 5 consumers want to know where their beef came from, and 68% of this group is comprised of millennials who currently make up the biggest generation. MOOYAH hits on both of these key demands from customers, with our sole use of Certified Angus Beef® in every burger. This Angus brand is the world’s first premium brand of black Angus beef, designated by meeting 10 science-based specifications that are more selective than USDA Prime, Choice and Select. Only 3 in 10 black Angus cattle meet the brand’s high standards. This is just one reason we continue to grow in popularity, and lead the “better burger” segment. 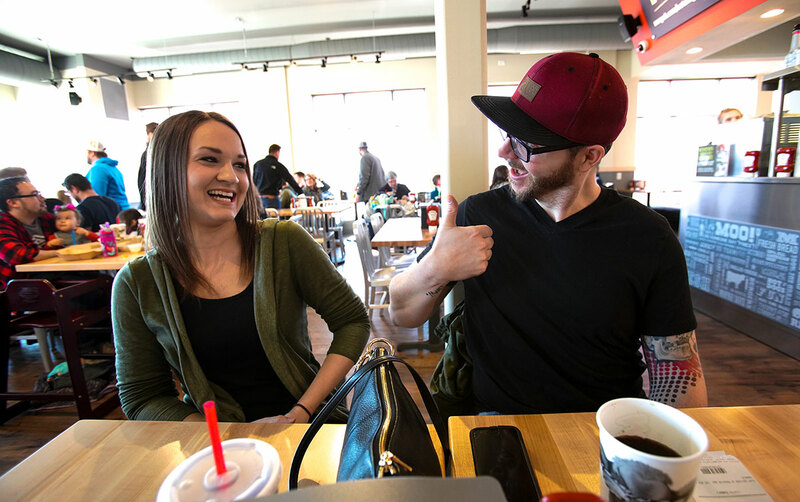 If you are a motivated individual ready to engage in your own burger franchise, consider joining MOOYAH. As we continue to see success in our current markets we find ourselves on the hunt for potential franchise owners ready to take control of their future. But we don’t want to award one of our MOOYAH franchises to just anyone. 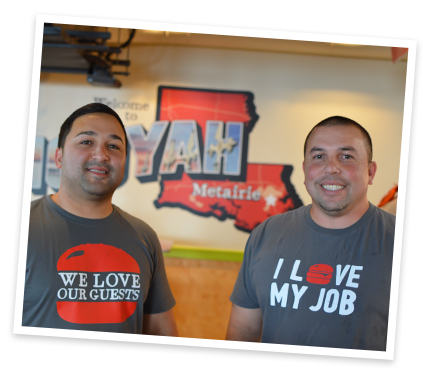 The MOOYAH franchise family of entrepreneurs has an identity. We’re as fresh as we are fun. As intelligent as we are imaginative. And as picky as we are playful. Put simply, our burger franchise believes making seriously good food doesn’t have to be such serious business. In our success, we’ve done many things–one of which is to create a unique and proven business model. We’ve taken the time to document our mistakes and done our best to learn from them. Now we are looking for individuals who can take our business model and execute it to perfection, take the lessons we’ve learned and apply them to their own franchise. We’ve learned that to be successful, we need to support our new franchise owners and help them in anyway possible to experience success. If this sounds like an environment in which you could thrive, give MOOYAH a call. As we continue to see success in new markets across the country, we are looking to welcome in new franchise owners to share in our our brand. If you are nimble and quick, a problem solver, have a background in business and are passionate about the hamburger franchise, we want to talk to you. We believe that having high-quality food doesn’t require a low-quality personality. Put simply, our franchise owners believe that making seriously good food doesn’t have to be such serious business. If you’re ready to take charge of your future, consider joining MOOYAH.